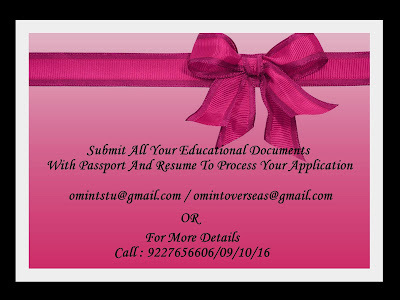 OM VISA Consultancy - Global Immigration, Students, Visitor, Business & Work VISA Consultants: Study & Work options with Business & Management Stuides related courses at Torrens University Australia, High Visa Success ratio, Enroll With gujarat's Leading Visa Consultancy "Om International"
Study & Work options with Business & Management Stuides related courses at Torrens University Australia, High Visa Success ratio, Enroll With gujarat's Leading Visa Consultancy "Om International"
Torrens is aimed at providing graduates with a globally oriented skill-set that will make them a valuable commodity to any employer. It is deeply focused on providing an avenue towards rewarding employment that will fit with the lifestyles of our students. It is a private university with locations in Adelaide, Sydney, Melbourne and Brisbane.